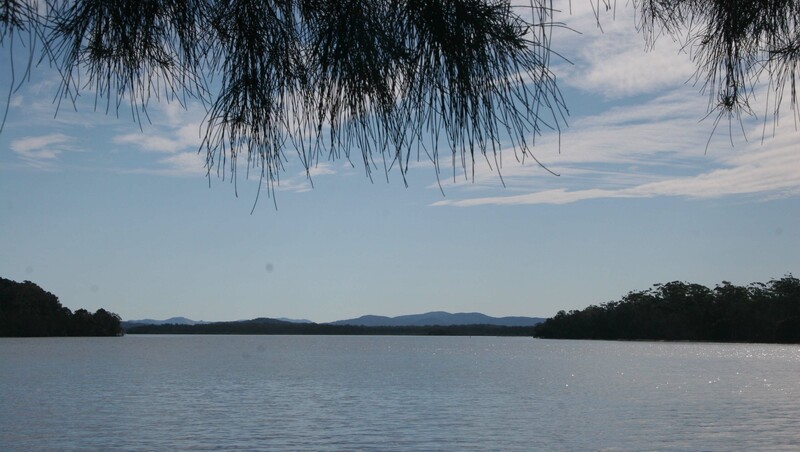 After an easy 202 kms, we arrived at Forster (pronounced ‘Foster’), with the temperature of 18 degrees and the prospect of improved weather, we were allowed to choose the site we preferred, only one row from the water. There are a lot of cabins and retirees here, but our site is very large and we can light our Oz Pig, as it is off the ground. 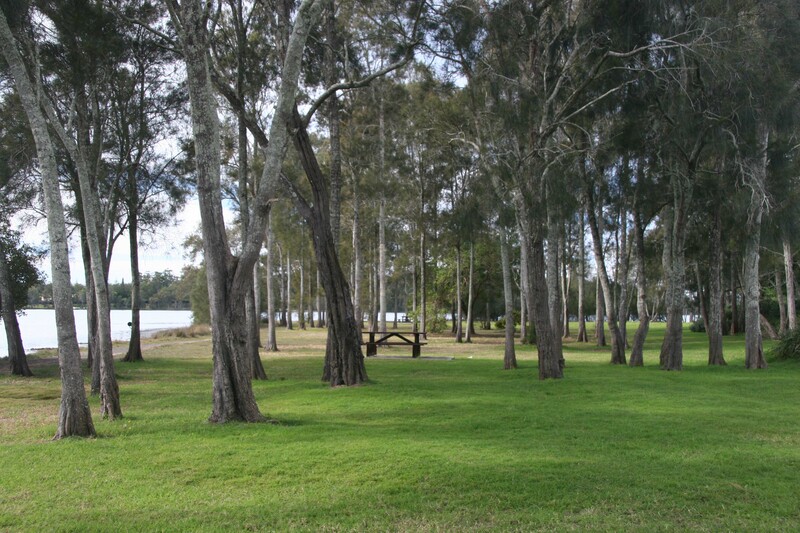 The park, Lani’s Holiday Island, is on the main road, but we are right down the back and there is a further 100 hundred acres of bush camping, beyond us. we drove down to have a look and there is a ‘bush camp kitchen’, a toilet block and that’s about it, but if you don’t need power, it would be lovely. 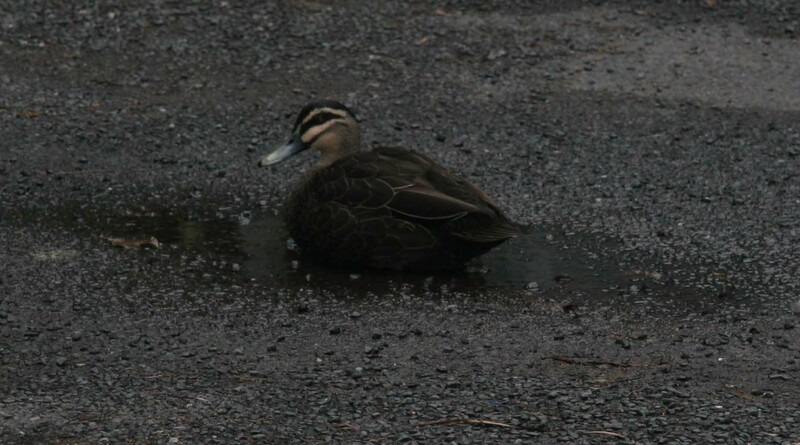 There is loads of bird life and the ducks come up from the lake and – what do they do – they sit in a puddle on the road! The next day, with a temperature of 21 degrees, we enjoyed yet another picnic at Booti Booti National Park and although we couldn’t see the sea, we were surrounded by coastal rainforest and a few other campers, surfers and walkers. 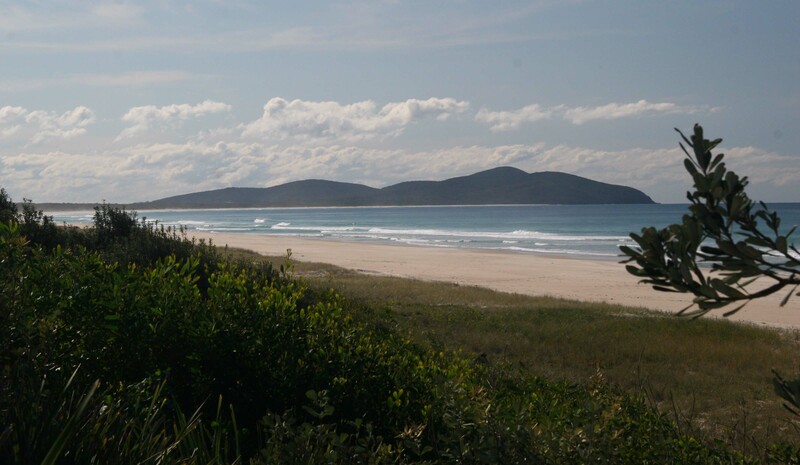 To get there you have to travel along a long Spit, with lakes one side and surf the other. White sands, blue waters and we stopped at Elizabeth Beach, which was lovely. Today we drove a little further, through the Spit and on to Coomba Park, an extremely peaceful little hamlet, with very friendly locals. It is on the edge of Wallingat National Park on the shores of Wallis Lake, one of the Great Lakes, famous for its oysters, which we will buy tomorrow, after the locals told us where to buy them. Everyone spoke to us, smiled or waved and while having our lunch, we watched people fishing, boating, pelicans resting, cormorants diving and drying off, all from the aspect of a recreation area that the locals maintain, which include tables, BBQs in a lawn and garden setting, and a children’s playground. The road in is narrow and winding, but not dangerously so and it is evident that the locals know it very well, by the speed they do! Another great day and we are feeling very relaxed. 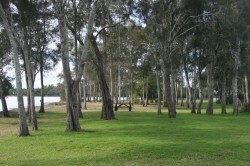 We have been in touch with Pete and Barb, friends of ours from Melbourne, who are further North from us at the moment. We would love to catch up, but we will stay here a little longer I think.